If you need mold removal services for your home or business, it’s imperative to find a mold remediation company with a reputation for thoroughness and expertise. In Alpharetta, Georgia, that company is Abatement Solutions. We have served a diverse range of residential and commercial customers in this area, and you can rely on us to methodically identify, remove, and prevent any unhealthy mold growth in your home or building to make it a healthy environment once again. Expert identification of your mold problem – Our inspectors will conduct a thorough visual assessment of your indoor environment to identify any hazardous mold growth. If needed, we can also have an air sample tested by a third party lab to gain conclusive evidence of an unseen mold problem. 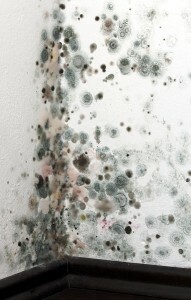 If you do have a mold problem, we will offer you a free estimate on our mold removal services. Effective mold remediation – Our Certified Mold Remediation Contractors will use the most effective combination of mold removal methods to kill and remove any hazardous mold, and prevent mold spores from spreading into other parts of your home in Alpharetta, GA. This process entails the use of mold removal equipment such as containment barriers, air scrubbers with HEPA filters, water extractors, moisture meters, peroxide-based cleaning solutions, and SHOCKWAVE®, a powerful EPA-registered fungicide that will eliminate any remaining mold as well as a wide range of other dangerous pathogens. Preventing the mold from growing back – To stop mold from returning, our mold remediation team can treat any unfinished surfaces with our remarkable protective coating, which we back with a 10-year warranty for your peace of mind. Whether you want to prevent mold growth on wood, wallboard, sheetrock, metal, or virtually any other surface, this preventive coating will ward off mold growth for years. If any mold re-grows on a treated surface, we will return and perform our mold removal services on it for free. To discuss your mold remediation needs, contact “The Mold Removal Experts!” at Abatement Solutions today. We proudly serve homeowners and businesses throughout Alpharetta, GA, and all of the surrounding communities.